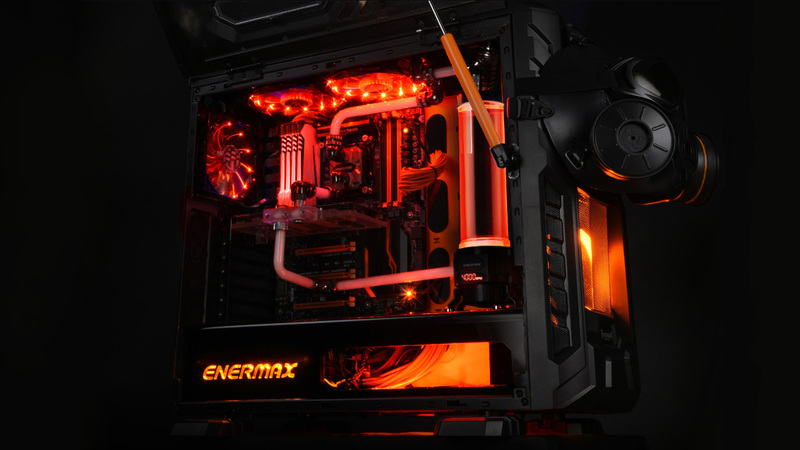 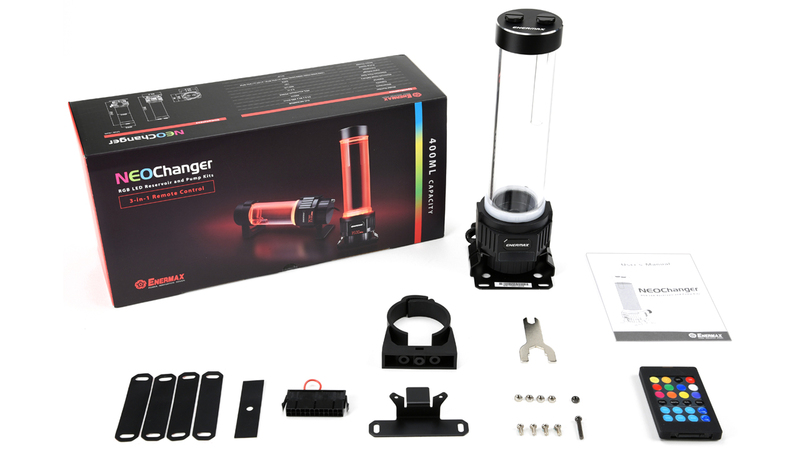 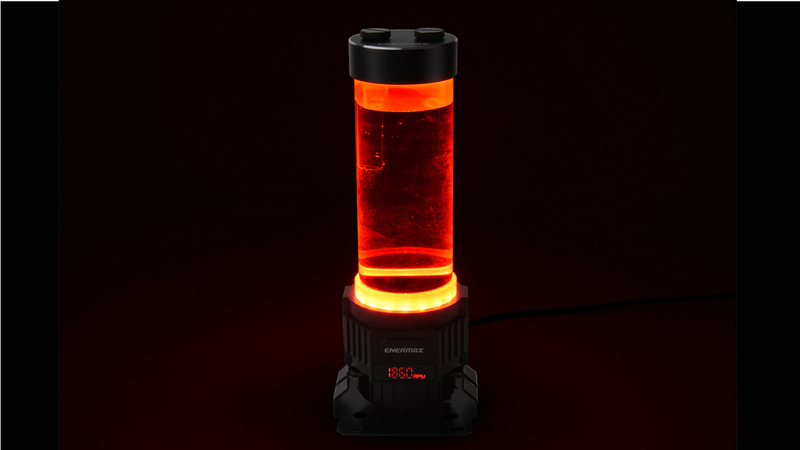 The Enermax NEOCHANGER is a reservoir with integrated performance pump and RGB lighting for the use with DIY water cooling systems. 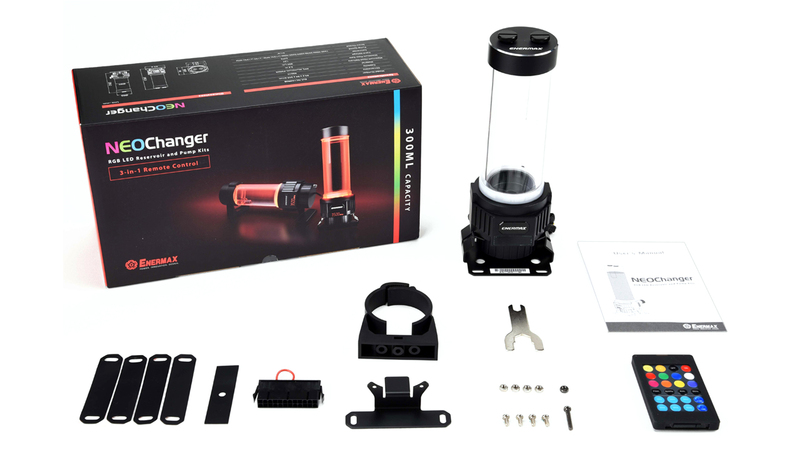 Supporting standard G 1/4″ fittings the NEOCHANGER can be combined with almost all DIY cooling products on the market. 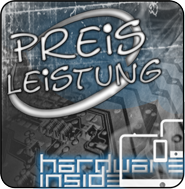 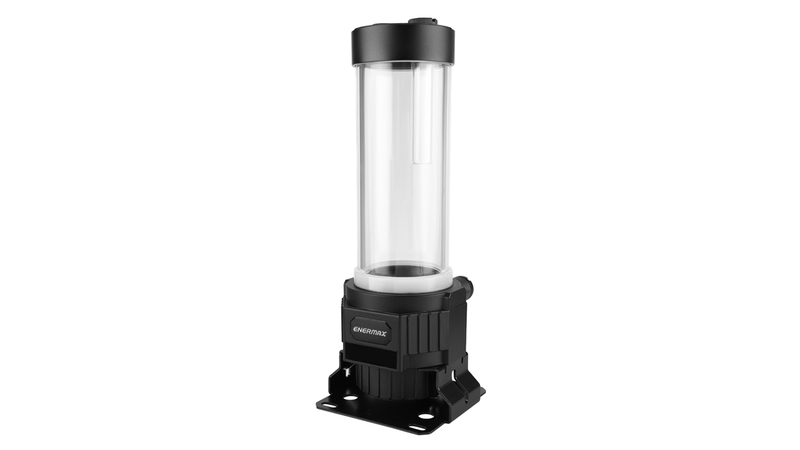 Designed for case modding the reservoir is made of transparent acrylic glass with a black aluminium cap, providing a significant outlook. 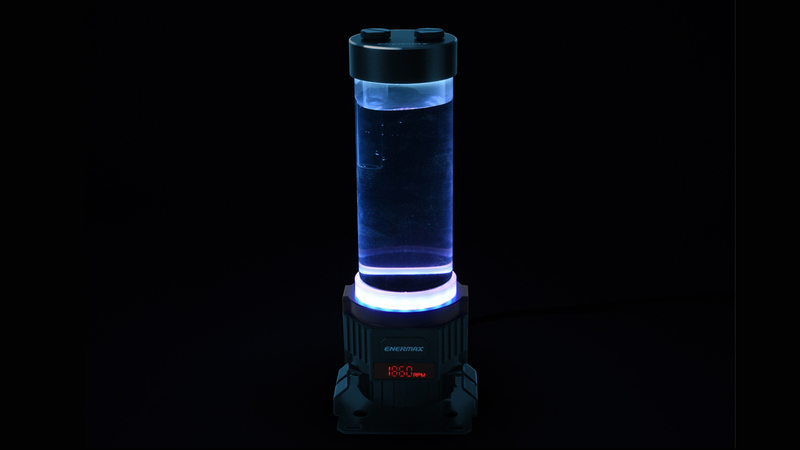 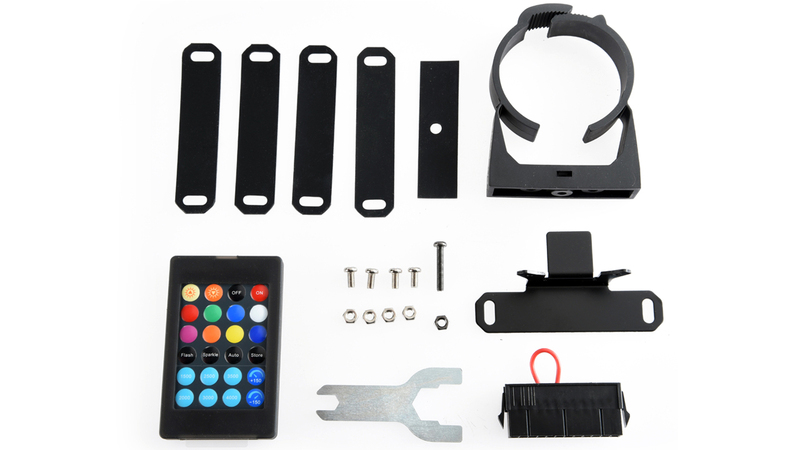 The acrylic glass reservoir is equipped with a RGB LED ring providing more than 256 colours and various lighting effects depending on the controller. 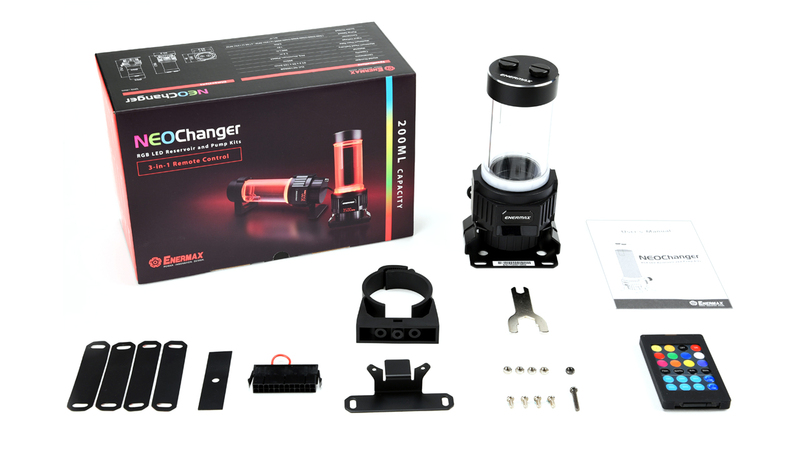 NEOCHANGER supports different mainboard synchronising technologies to work together with other RGB hardware. 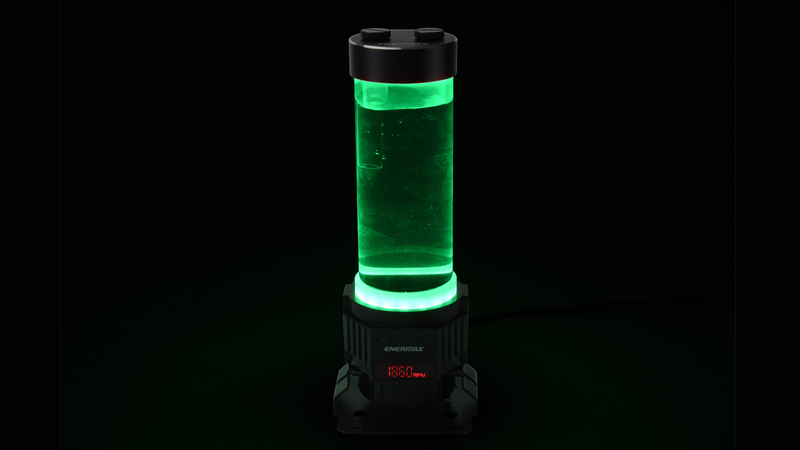 In standalone mode the RGB LEDs are controlled via the included IR remote control offering preconfigured colours and effects. 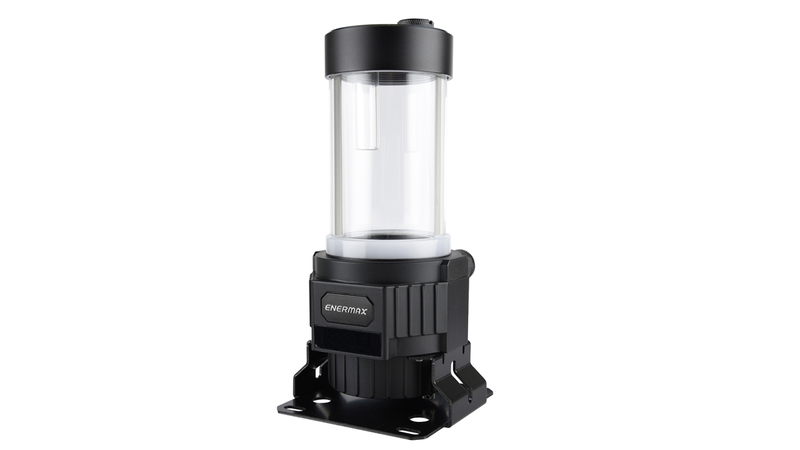 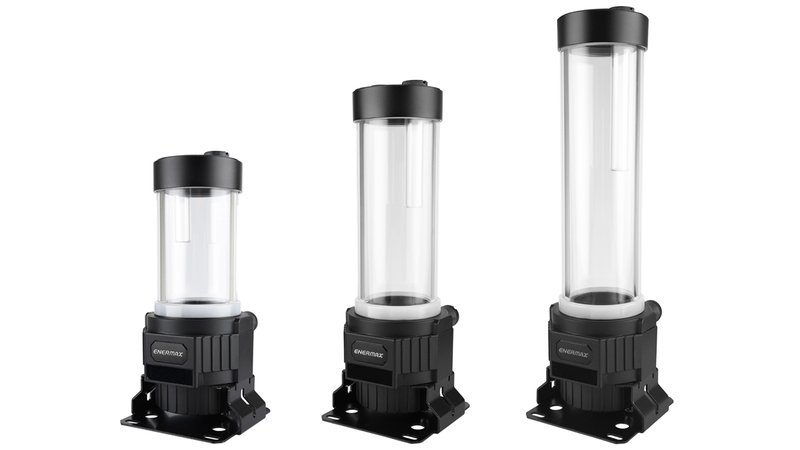 The water reservoir is available in 200ml, 300ml and 400ml offering the best choice between compact size for small builds or a large amount of water for powerful cooling loops. 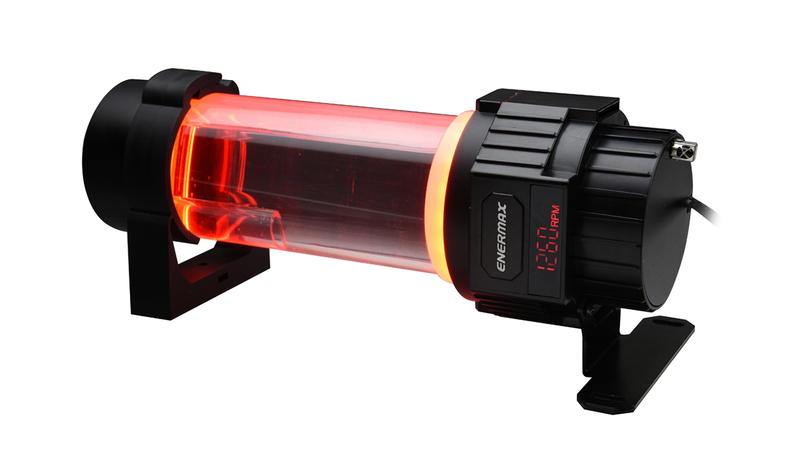 The digital pump speed display shows the pump RPM in real time. 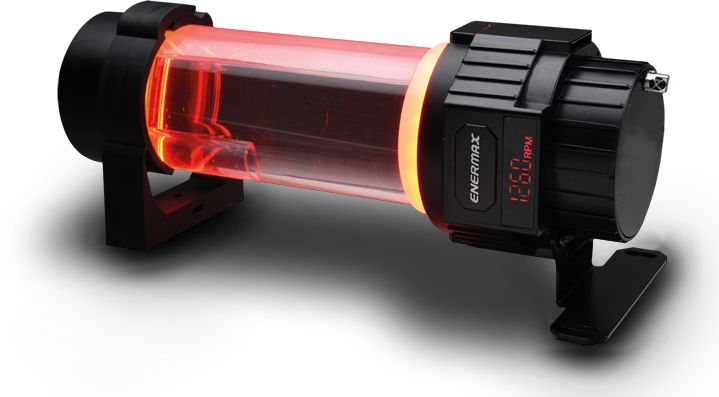 This allows monitoring the pump operation and optimising the speed for the best performance. 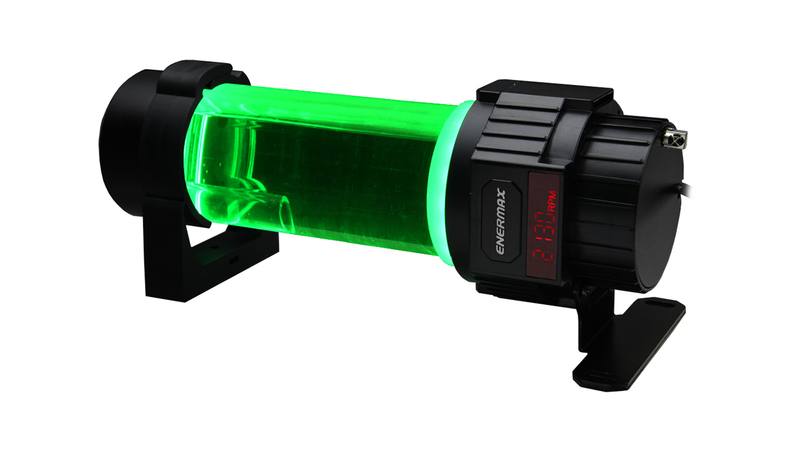 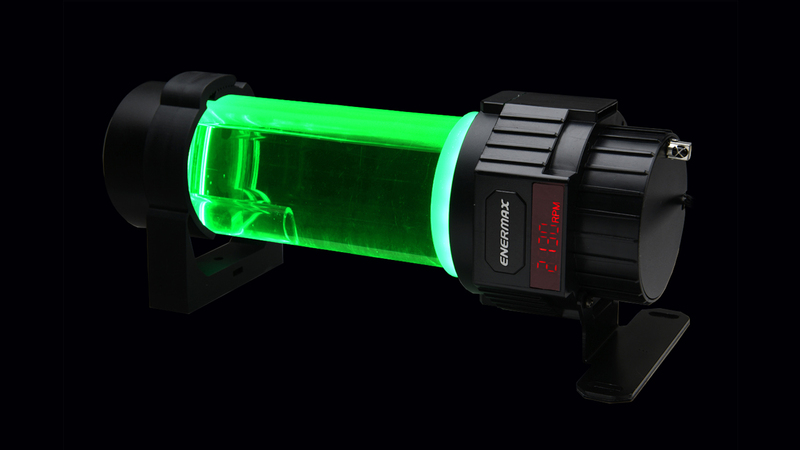 NEOCHANGER comes with a 3-in-1 IR remote control to adjust the LED colours, light effects and pump speed. 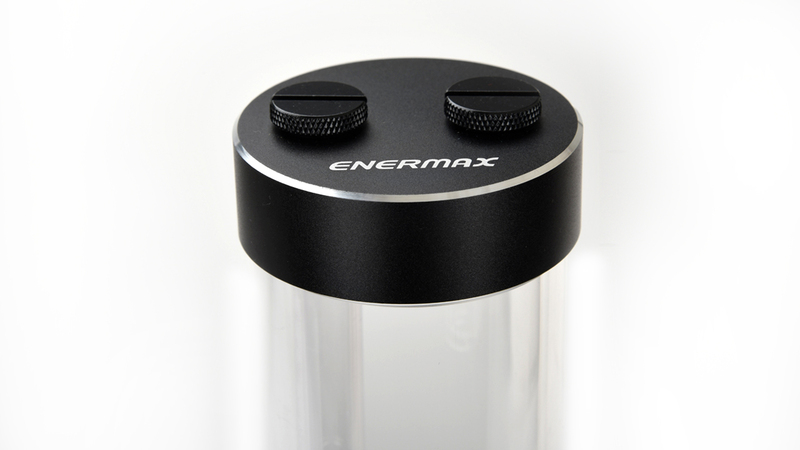 The included magnetic silicon cover can be used to attach the remote to any magnetic surface for storage. 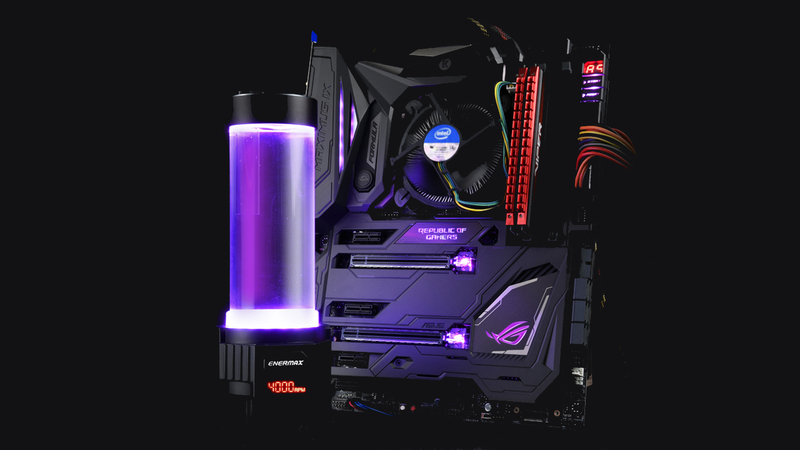 The RGB synchronisation via 4-pin RGB header is compatible with motherboards using Asus Aura Sync, ASRock RGB LED, MSI Mystic Light Sync and Gigabyte RGB Fusion. 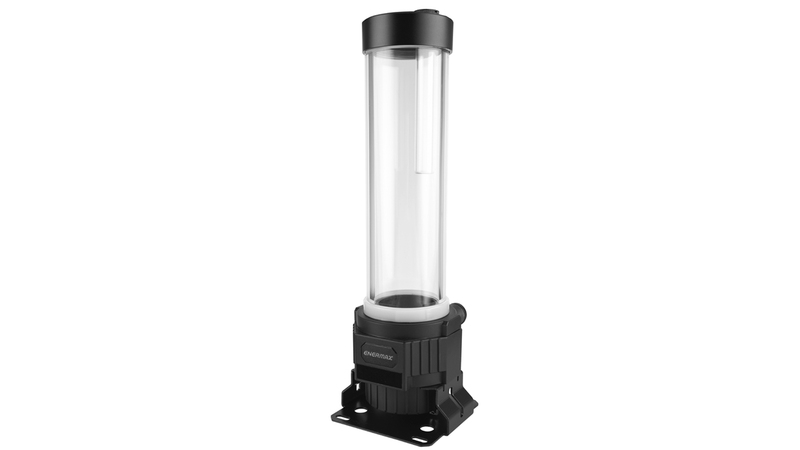 NEOCHANGER supports standard G1/4″ fittings providing the maximum compatibility to other hardware. 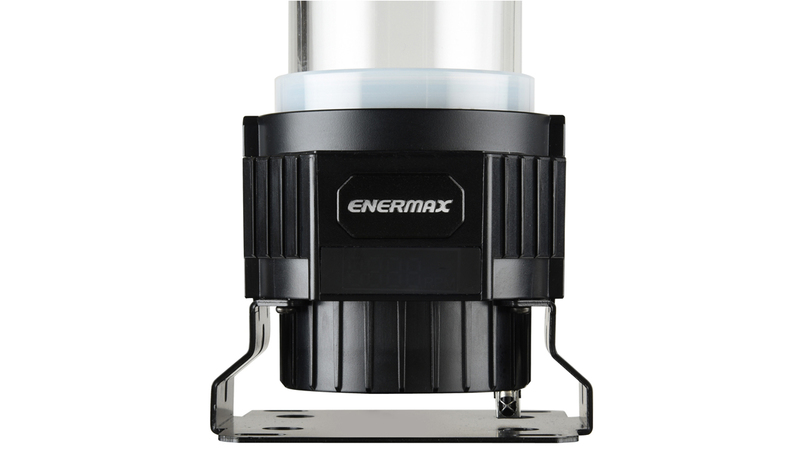 The flexible mounting system allows vertical or horizontal installation depending on the preferred configuration.